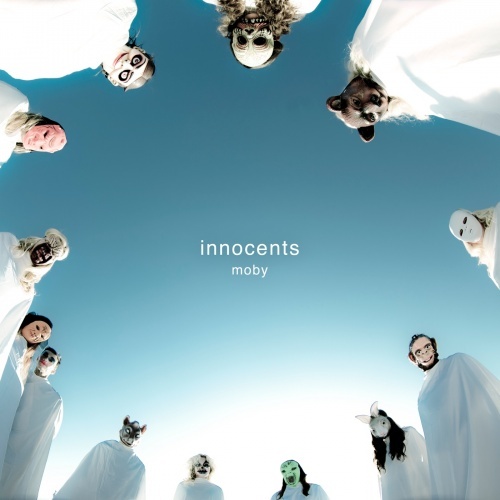 ‘Innocents’ is a record of firsts for Moby. The first time in his career he worked with an outside producer, friend Mark “Spike” Stent, whose résumé includes Madonna, U2, Muse, Björk, and Massive Attack. In addition, this is the first time Moby has concentrated an entire album on collaborations featuring appearances by Wayne Coyne (The Flaming Lips), alt-rock legend Mark Lanegan, Cold Specks, Skylar Grey – best known for co-writing and performing on Eminem and Rihanna’s Love The Way You Lie; indie-folk singer Damien Jurado, and Inyang Bassey who was the vocalist on The Right Thing from ‘Destroyed’.